The Plascon colour range of paints offer a wide selection if you are looking to decorate the inside or outside of your home in South Africa. 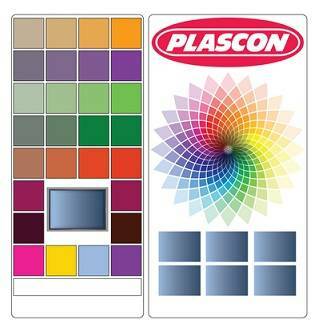 Plascon is a long-standing, well-known company that produces and supplies amazing different types of paint and of course, a very wide palette of different colours. Many people and companies turn to Plascon when they will be painting or re-decorating because they understand they will be getting a decent quality paint in a wide selection of shades at an affordable cost. You can visit any of the above regional offices or contact them by going to Plascon’s website at www.plascon.co.za and clicking on the ‘contact us’ link at the bottom right hand corner of the page. You will be provided with a list of contact numbers as well as a field to send email feedback. However, if you are simply looking to purchase some Plascon paint or if you are looking for advice, you can visit just about any hardware store or paint stockist and they will definitely have some of the range in stock. Plascon creates and produces a great number of different colours and they pride themselves on forecasting the colours that will become popular and coming up with new hues and tones regularly. Plascon comes up with several full colours and then they make several different hues of that colour. They usually include the hues on the same card as the full colour so that you have some choice of colours that go together. These are some of the emotive names chosen for the range of brilliant, subdued, muted, full, rich, transparent and subtle colours that Plascon has come up with. It is very important to choose the right colour for the space that you want to paint. A smaller space could look even tinier if it is painted a dark colour. Larger spaces play off colour well. If the area is already decorated, you should make sure that your paint will show off the chosen décor well and not clash with it. Once you have visited a Plascon store and chosen a few colour swatches, bring them home and hold them against your wall to see if they look the way you thought they would. Keep in mind that colour can look very different when it is surrounded by other colours. If you are painting a space by yourself, it is a very good idea to start off with several small sample pots of paint and trying them out in large patches on the wall. Leave them there for a day or two and see what you think of them. To avoid common mistakes like lapping, chalking or blistering, make sure that you clean and dry the surface thoroughly before hand. Use good quality brushes and rollers and paint quickly to avoid overlapping dry and wet paint. Try to finish a section in one go before you stop for a break. Use masking tape pressed down very firmly to prevent getting paint on areas that you don’t want it.